If you have been 3D printing for a long time, you are most likely one of those people who go through several spools of filament a day. The plastic that filament spools come in pile up over time and you don’t really know what to do with them. 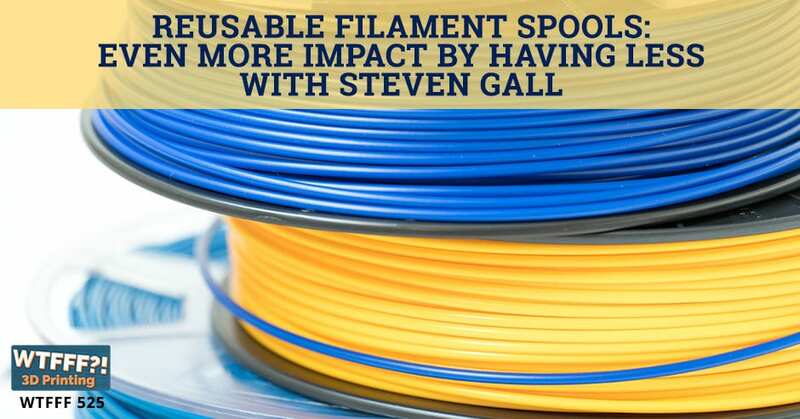 Steven Gall and his company Keene Village Plastics which is one of the original filament manufacturers for the 3D printing industry came up with a new filament delivery innovation that specifically addresses this dilemma. They introduce and deliver filament coils that come in reusable filament spools that you can buy one time and be able to use repeatedly from that point forward. This innovation not only solves a problem but is so easy to adopt as a standard that you wonder why it’s never been done before. We’ve got an interview about filament. We are super excited about this. We don’t think we’ve ever been quite so excited about a filament episode before. There’s something really new and exciting we have to bring to you. It’s not often that we get anxious. It’s like, “It’ll be when it is. I like it. It’s cool,” but this one, we’ve been dying to talk about. We have because it’s so brilliant. We don’t know why it hasn’t been done before. It’s one of those things where you’re going to hit yourself over the head and be like, “Why has no one done this yet?” It’s simple and brilliant and that’s what we love about it. There is also some tech behind it. That’s why maybe some companies didn’t do it before. There is a reveal here and we think it’s in the title of the episode, so you have a clue. This is something completely different that Steve Gall from Keene Village Plastics is going to share with you. 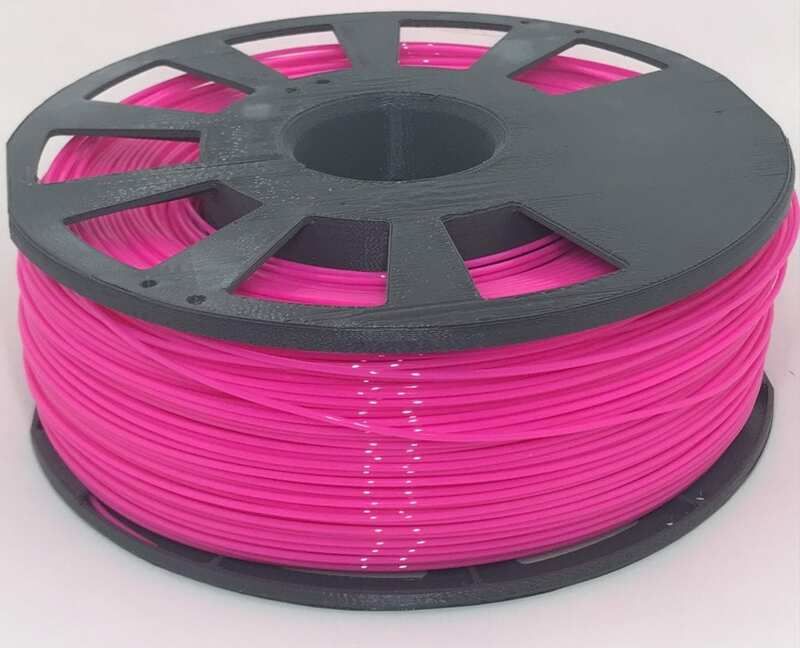 Their company has done something completely new in filament delivery and involving the spool. Since we’ve gotten into desktop 3D printing, leftover spools of completely use filament has been a problem. This is really interesting because Keene Village Plastics and Steve are an interesting group to be able to bring this kind of innovation to market. 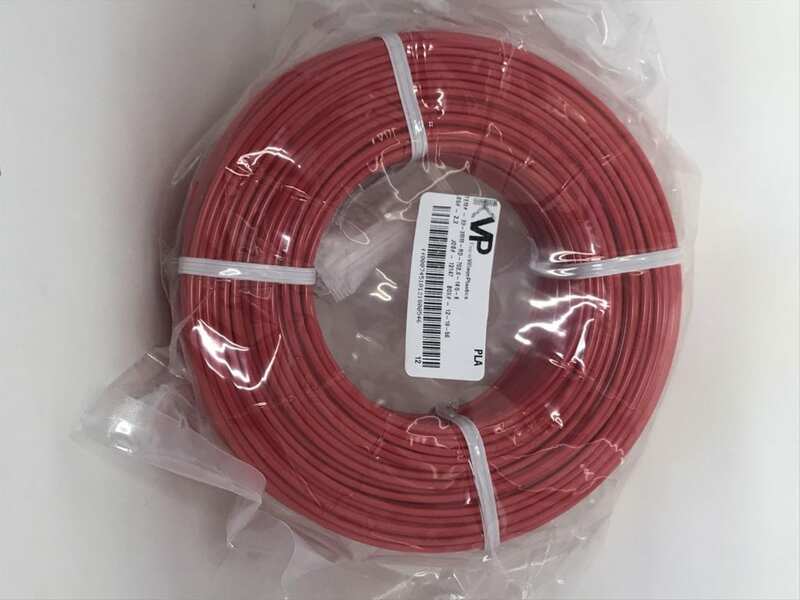 It is their commitment to R&D and their broad experience and deep experience in filament production that positions them uniquely to be able to bring this innovation to market. Steve, thanks so much for joining us here on WTFFF. It’s good to have you on the show. We are really excited for this interview. We’ve interviewed a few different companies that are filament manufacturers in the past. Early on, we had a filament episode and then somebody from Italy, a company that had a lot of colors and we’re excited to have them on the show, but we have ever been quite so excited as I am now. You have really come up with something new in filament and it’s actually not the filament itself. You have a lot of great filaments that is wonderful in it of itself. This is something new. I want to make sure our audience really knows about Keene Village Plastics and how you came about because you’ve been around a long time by 3D print industry standards. Village Plastics is actually one of the original filament manufacturer. It started at the beginning of the 2000s here. We actually help set all the initial standards by which filament is made now. When you think back to the original name brand 3D printers that started back then and are still around, we were actually their original suppliers. To plug a few names, you can throw LulzBot, MakerBot, 3D Systems. All these were Village Plastics customers and we set the standards by which everybody plays with now. There was a short period whereby Village Plastics became a part of 3D Systems and that has since changed. We are now back out there as a forward-facing company as of last year, competing back out in the market and bringing our vast capacity or wide variety of materials and all of this skill set, which still exists in our employees that were there back in the day or still with us. We always like to say thousands and thousands of hours of experience means that you’re less likely to have mistakes. You’re less likely to have quality problems. You’re more likely to be able to introduce something completely new and different and not have those industry hiccups that often happen when you introduce a new product. Village Plastics stands alone in one other particular aspect when we talk about quality and standard. We’re one of the only manufacturers on the market that uses a tri-axis laser system. Most everybody else uses dual-axis, which means we literally have a 267% improvement on tolerance over anybody else using a dual-axis. We also are the only ones that can record and store for five years every single aspect of every product we go out the door, not by batch, by individual spool. We can tell you what line did it, what were the settings, what materials, what were the blends, and how many measurements were done if you give us our bar code for anything that came out the door five years ago. Having something be frictionless in its processing through the nozzle is so critically important and a lot of nozzles are not as precise. They’re not as precise as manufacturers would like to claim that they are. You’re tremendously improving the process on the material side. We’ve got people that are dedicated to doing that. Also, our general manager, he’s our materials guru and he actually helped build most of those lines. He knows how to dial in on those systems. It’s hard for us, especially with our level of tracking and quality in every single system is tied into a central computer system. It’s hard for something to get by us that are out of spec. It just doesn’t happen. As a matter of fact, John said in the last three years, we can verify only one spool has ever come out of spec that made it out the door. That’s good to know because I’ve been one of those people that was willing to try any filament out there, especially if it had a unique color that I wanted to use because we’re designers. Color is very important. I would try anything, and I have had a lot of lousy filament caused me all sorts of problems just to try to get that cool color. I’ve come to respect quality filament. I don’t care what a spool of filament costs. If it’s quality, I will buy it. We think on a per print basis, it’s pennies difference cost. It’s not even worth worrying about. The headaches of cheap filament to me are not worth it. I actually wrote a paper on the cost of cheap filament. It’s a one-pager, but it gets right down to the nitty-gritty on the $2 or $3 you’ve saved on a spool can cost you so much more down there, and the most important thing you lose, time. You end up with a failed print, you’re never going to get that time back. Reusable Filament Spools: The most important thing you lose is time. You end up with a failed print, you’re never going to get that time back. We can’t afford wasted time. We know there are probably a lot of people that are more hobbyists, the time isn’t as critical to them, but to us, we think it still should be because you can have more fun time with your hobby instead of cleaning up a machine. You mentioned color too. We keep adding new colors. Right now, we have approximately 150 colors in effects from glow in the dark, pearlescents, sparkles, UV that we can add to just about any material, plus the fact that we’ve got eleven unique materials and nine more in R&D for release this year. We want to talk a little bit about your R&D process. What is your R&D process and what does that look like? 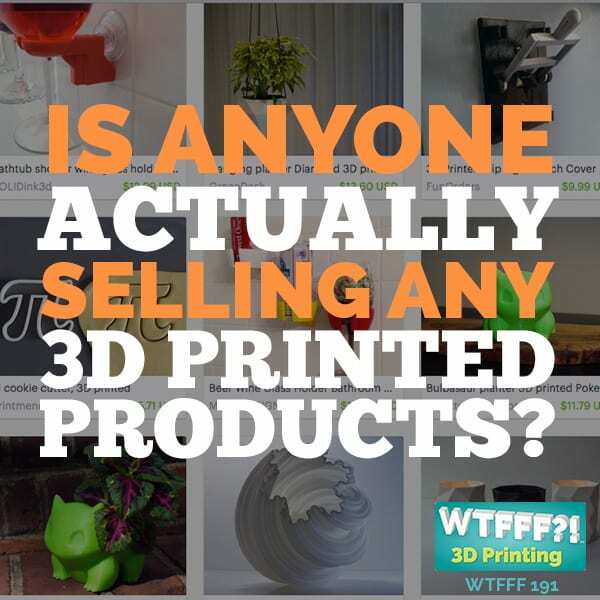 You get started in the 3D print business and there are a lot of resellers out there posing as filament companies. That means that they were relying on whoever their source is for that R&D. You guys are the source, so what does R&D look like at your company? R&D in our company, for instance, like with the Coil Plus our new EnviroLine of products which are coming out at RAPID 3D.What we do is first we look at where the market trends are going. What’s in demand right now? We’re not the kind that believes in bleeding edge or following far behind. We’ll stay right there where the trends are to make sure that there’s a real reason for what we do. We will investigate exactly what’s in demand and where the market is going. Then we will investigate internally as well as look at our partners, our resin suppliers, are compounders, and things like that. We will test the limits of their capabilities as well to give us the blends that we have. We have three new bio materials that are coming out this year. People are concerned about recycling, about biodegradability, about what plastics in general are doing to the environment and how we can help with that. There’s another whole story behind all that with a new partner we’ve got. That will be a whole new focus for us. As far as the R&D itself and once we explore the feasibility of this, then what we do is we will talk to our current partners and say, “Is this something that you’re seeing as a demand in viable within your organization?” Where we’re seeing things going is functionality. Things that are functional. It’s great to have a lot of colors and great to have a nice variety of materials, but what’s happening right now is organizations are looking for functional materials. What do they do? What can you bring to the market that actually allows us to do something that we haven’t been able to do before or addresses a need that’s out there? Our group will then evaluate that and then we’ll go on to a research phase. 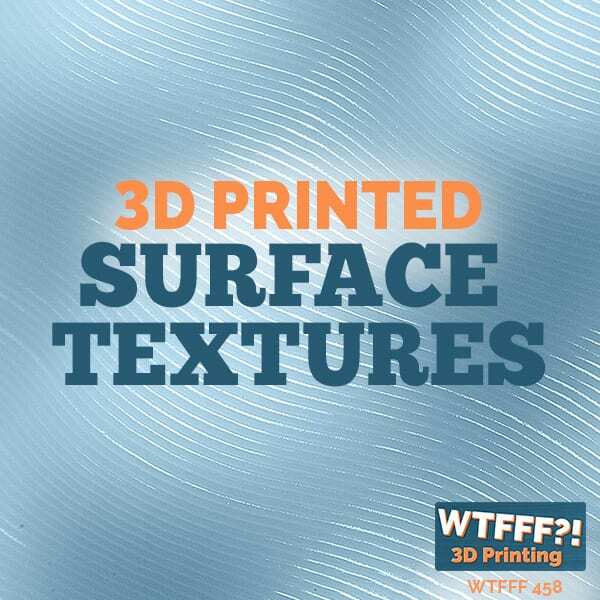 For instance, we released our new PAPC material in partnership with FibreTuff. It’s a unique patented blend. It’s got five patents on it. It’s a medical-grade material that is in direct comparison to the likes of PEEK, polyetheretherketone, for its medical applications, but it has one unique difference that PEEK doesn’t. Whenever you do x-rays or MRI’s with somebody who has a surgical implant with PEEK, surgeons can’t see it. It’s invisible to x-rays. PAPC you can see in an x-ray, therefore when they examine the implant and look at what they’ve done, they can actually see that it’s placed in the proper position. Whereas with PEEK, it’s a guess. That’s really a specialty and you have to work in collaboration with everyone to get to what is the need, where can we innovate. Is it doing what it’s supposed to be doing? As a matter of fact, I was speaking on the phone with an orthopedic research group out in California that is going to be using this material to make new medical devices. The whole point of bringing this up is it’s part of our R&D. We went through an eighteen-month research cycle to bring this thing to the market. We make sure that when we bring something to the market, it’s well researched, it’s well received by the market itself and it’s something that’s appropriate for the times and it becomes released. Steve, please share in a nutshell what this latest innovation is. 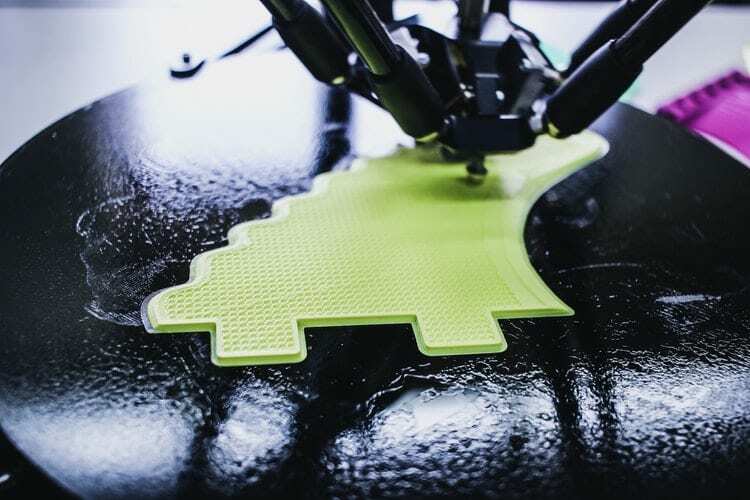 This is completely new in the 3D printing industry and I’m super excited about it. Keene Village Plastics has come up with not a particular new product, but a new innovation. We would consider it a filament delivery innovation. 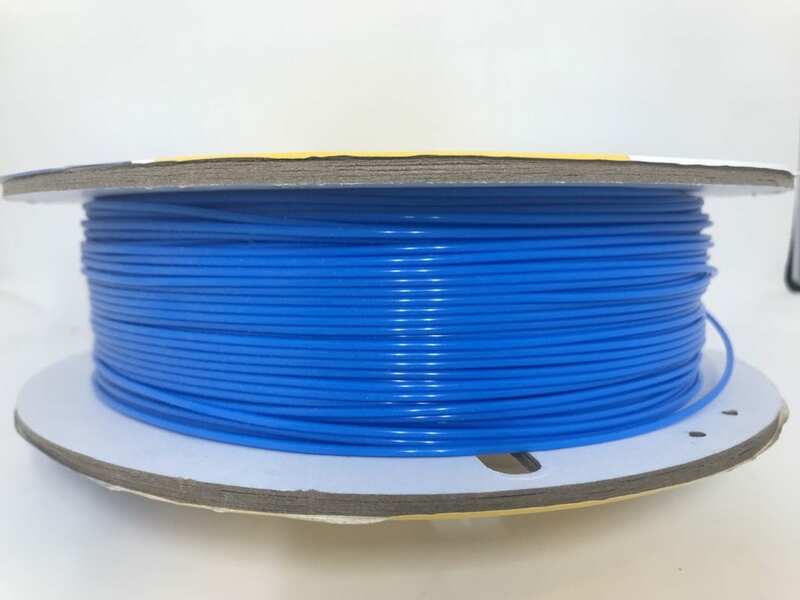 In this particular sense, rather than the same old filament you’ve seen everywhere else when you buy the spools, we deliver you that filament without the spool. You actually have a reusable spool that you place this coil of filament up on and use it from that point forward like you’ve done on your 3D printing machine. What it does is it saves you from having that pile of filament spools sitting in the corner you’re trying to figure out what you’re going to do with. We have that problem on a regular basis. Two weeks, or a week even, before we learned about this coil and the spool, we had half a dozen spools that we had empty. I’m like, “Do I throw them in the recycle bin? Or are they actually got to be recycled?” We have a lot and we purge frequently because we get new colors in and people send us samples and we have a lot of filament spools leftover all the time. Our kids see them, and they see an empty spool, “That’s neat, dad. Can I have that? I’ll do a craft project.” There are only so many little craft projects you can do with an old spool and the reality is they can’t manipulate it very much, so they end up just kicking around and creating clutter. When we were teenagers, it was like glass blocks that created tables in your apartments when you were in college or some milk crates, they like to use the spools and make tables and they pretend that they’re giving speeches in their podiums and things, but there’s only so much of those I’m going to allow in my house at this stage in the game. It’s an environmental impact too. A lot of spools are probably recyclable. I find many of them that have no recycle symbol on them and if you don’t identify what that plastic is and you put it in your municipal recycle bin, they’re not going to know what to do with it and it’s not going to be properly recycled. It’s a huge problem. We put it in the bin and we don’t know what happens to it and I hate the idea of that. That is something that we have worked on going green for decades now and the idea that it’s not marked, is so backwards. This may not address the current pile that you have, but when I talked to 3D print service centers, additive manufacturers, and they all have this build up and some of them go through thousands of spools a month. They have to have their own recycling program for it. This actually solves a fairly expensive issue that many of them have by at least stopping that process now and going forward, they get rid of all that waste. It doesn’t exist anymore. This is a completely new concept. We love it. You’re going to buy the filament in coils, so it’s in the shape of a spool and then you’re going to install it onto a reusable spool, is that right? Exactly right. What you always wanted in the first place anyway was the material. The spool is just the delivery mechanism. Now, we let you reuse that mechanism. Reusable Filament Spools: The spool is just the delivery mechanism. Now, we let you reuse that mechanism. We would think it probably saves a little bit of cost in manufacturing because you don’t have to put a spool on every coil of filament you sell and you’re going to reduce a little weight and I wonder, do you reduce a little dimension in your shipping package too? It does reduce the dimension a bit. It is a significant reduction in weight. We also have five pounders, but you’re actually buying a 1.4 kilogram product. That 0.4 kilograms, you’re also paying for the shipping. Imagine buying those same ten spools of filament, but now it doesn’t come with the spool. Now, you just dropped four kilograms off your shipping weight. That’s significant from a whole environmental impact. You ship out thousands and thousands of that, so when you start to reduce that, your environmental impact overall is a tremendous benefit to the bottom line as well as to the environment. It does stop the future pile up of all of these spools. How does someone get one of these new spools? It will be available on our website along with several partner websites who will be carrying the Village Plastic Coil brand. People can buy as many spools as they think they may need as a one-time purchase and then use them repeatedly. They can buy them, but then they can also print their own. 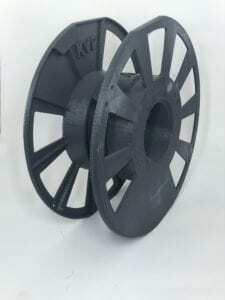 We’ll have three unique versions of the reusable master spool for the five-pounder, the standard one kilogram and then a small format for a 0.75kg coil. We got access to the middle spool size for the one-kilogram spool. This is really innovative and that the spools, it’s a two-part spool, basically two halves and each halve contains a part of the hub and they’re the mirror image of each other. They’re not the mirror image. You print one twice and they’re made to fit together. It’s a really interesting project for all the academics out there and students involved in 3D printing. There is a lot of people involved in 3D print education. It’s a heck of a geometry study and exercise to make one part, you can print twice, invert it, put it together and it locks together. When you’re coil runs out, we’re going to think about how we refer to filament differently now. Is it a spool, is it a coil, is it both? I guess it is both. At the end of the day, you really just want the materials and the color and the properties of it. The whole other part as Steve pointed, it’s just the vehicle to get it to us. Why not skip all of that and let us do that part ourselves. Now, you worked with Slant 3D on the design of this? Originally, they’re actually a client of Village Plastics. When we moved to the coil, we introduced it to them early and they decided that they liked it so much they were switching from a standard spool to it. Unbeknownst to us initially, they didn’t like what was available on Thingiverse, so they designed what you see themselves and then gave it back to us. We were so impressed. They said, “Tell us what you want to change.” We ended up going through seven more iterations together to get it to the final version it is now. It is a group effort between Slant 3D and us and when we release the coil we will also release on Thingiverse, our website, their website and a few other partner websites, the free non-commercial STL that you can download and print your own. We love that industry collaboration and really shows what your company is all about. You have great relationships with your clients and you’re not only getting them to bring new innovation and feedback, but you’re seeking that out and seeking their expertise and advice as well in reverse. That really shows how that R&D process you talked about ties into getting that what the market really wants? What they’re really interested in and making it more valuable to them? You’re right and they were so innovative about it. They turned us into their clients. They do all the 3D printing for us. This thing is engineered to print with no support material whatsoever so that comes clean off the build plate ready to use. I’ve done it myself, I see honestly no reason not to adopt this as standard in our office because it’s going to solve now a huge problem that I’ve seen. This must have been quite because it’s one thing. It’s one things to say, “I’m going to create a reusable spool.” It’s quite another to manufacturer filament, not on a spool and distribute it and deliver it. That must’ve been a challenge for you guys? It is an engineering challenge but where Village Plastics is unique to every other filament company in the world, most of which are newer than us is the fact that we are also a thermoplastic welding rod company. The dyes and the tools and the skill set required for thermoplastic welding rod transferred over to 3D printing the skill set to make the standalone coils. We hear you and we understand it intellectually, but conceptually, we can’t really picture it in my mind. We don’t know how welding rods would make it easier for you to make a spool-less coil. When you think rod, you think of a straight bar. Thermoplastic welding rods, we not only make them in straight bars, but we also make them in coils. Most of them are plastic welding rods come without a spool. We already have the skill set and all the jigs and dice to actually make spool-less systems. We never transferred it over to 3D printing until we did it this year. That is the consummate flash of genius innovation. Really how brilliant patents and innovation should happen out there is because there was just this disparate set of knowledge that you’re connecting together. This experience that you’re connecting that makes this added benefit and added viewpoint, an outside mindset. We’re glad you’ve come out with it in three different sizes because one of the things that we found when printing this is the one-kilogram spool just barely fit on my largest 3D printer build plate. We got it to work for sure and we are sure a lot of people out there with similar 3D printers will be able to print it, but for some people they may need to print a smaller sized spool or a modified spool that you get an STL file, you can chop part of it off if you need to, to be able to fit it on your build plate. If you’re interested in printing it yourself, there’s definitely ways to do it. Even if your build platform is not ideal, but I would think the 0.75 kg will be of a size that would print on I would think the majority of 3D printers out there or desktop 3D printers. We say one size fits most. Unless you’ve got a really small build plate printer. We don’t recommend you try printing on anything that has less than a six-inch build plate. Reusable Filament Spools: One size fits most. Unless you’ve got a small build plate printer. We don’t recommend you try printing on anything that has less than a six-inch build plate. From that perspective though, they can just order this? They can buy it with us. Then you are going to ship it, no question and there’s the environmental impact of that, but you’re going to ship a certain number of them once and then never again. If you don’t use all of the coils in a particular event, then there is a method to take it back off, rebind it, store it in a re-sealable bag and put a different one on. 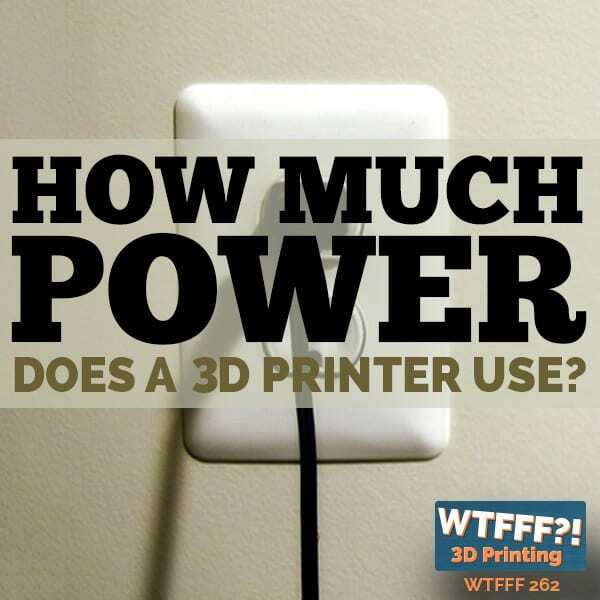 We have some filament questions. We have some experiential data here. It’s our experience, it’s not scientific. I’m an expert in color but not filament. I’m an expert in dyes more than I am in plastics per se. We find that sometimes we’ll be like, “Tom, pull this purple color we have on the shelf here. Use this for this particular print,” and we haven’t used it in a really long time and then we have problems with it. We would toss it pretty immediately or return it if we had problems with it right out the get-go. It wouldn’t make it to our shelf here of archived colors if it didn’t at least perform a few times in the beginning. The leftovers we find that we have a steep decline on some and I have not really gone through it because it’s not a big sample size so I don’t have scientific data on it. Monitoring whether or not it was certain manufacturers or certain colors or any of those things, but we see a decline over time. Is that common? It is. It’s not necessarily due to the fault of any one particular manufacturer. It’s more material-dependent. Some materials are far more hydrostatic than others. They’ll absorb water more than others. PLA more than ABS and that kind of thing. Polycarbonate, very little. It just depends upon what material you’re using. However, it also is environmental. If you’re down in Florida now, we recommend that you don’t leave the material out very often because it’s high humidity. If you’re down there in Louisiana, Florida, whatever versus let’s say Arizona, then you get very different environmental factors that also impact the amount of moisture in the air that does that. The other thing that impacts the quality of the filament and most people don’t realize this is dust. If you get that microscopic dust that settles on the filament and when you feed it into the nozzle, it can actually cause bubbles. It can actually cause spotters, or it can start over time. It’ll cause a burn mark and it’ll basically clog your nozzle over time. Keeping dust and water off your filament is important. Using re-sealable bags and not throwing your desiccant out the window once you get the product is important. Save those. We have gotten away with a lot of bad habits living in Southern California where in general, we don’t have a lot of humidity but still I’m sure it does over a long period of time make a difference and also the dust. The dust is now king in my mind. That sounds like a lot of experiences that we’re having, and we hadn’t really thought about that. We’re going to have to change some of our procedures. That’s also why I was a big fan of the smaller sizes, being able to have them because sometimes we do projects and we’re really testing things and we’re not ready to buy a big volume of it. We’re not going to consume it at a large piece. You have smaller sizes as well. People have asked us in the past too. If this is part of saving the environment, why not make the spools out or something like cardboard and it’s been consider and there are some that do that. The problem with that is cardboard creates paper dust. It goes on the filament, it goes into your printer. Then you’d have to coat the cardboard, which defeats the purpose of it being recyclable. We all know Starbucks is offering $10 million to anyone who can figure out how to make their cups uncoated or more recyclable. They don’t have the dust problem, but they have other issue. Once you coat cardboard, it’s useless. It’s unable to be recycled. That’s a really good point. We hadn’t thought about the dust on it as well. There’s so much opportunity here and sometimes it takes a lot to get me excited after being in this industry for so long and doing more than 500 episodes. People always say they have something new and I’m like, “What do you have that’s new?” This is new, and we are excited about it. It solves a lot of problems. We think you and Slant 3D have done a great job here. We are excited to start using it, so I can’t wait until these coils are now really commercially available. We will be doing the large formal release at RAPID 3D at our booth. Where is that show taking place? That is in Fort Worth, Texas on the 23rd of April. Don’t be surprised if you don’t see the coil in multiple booths. People are going to be able to go to the Village Plastics website. You’re going to have that available on the same landing page as your free sample offer, isn’t that right? With the free sample, we will be putting up the free print files for the spools. Steve, we want to thank you so much for coming on the show and sharing all this information with us and our audience. This is the first really new thing in filament in a long time. We hadn’t done a filament episode in quite a while, so it was time to do another one so that we could get some inside information into what might be some of the quality problems we’re all experiencing here. We appreciate that as well. Tracy, Tom, thanks for having me. At the end of the day, you’re going to make it out of white or black or navy blue, whatever the color standard be, that filament needs to be the one that’s going to be your standard that 80% of the sales are going to come from. You really want to make sure that you’ve got top quality filament because it will mess your machine and it will take more time. It is not worth it. That is something that we are glad to hear. That’s why they’re so good at what they do is because they’ve refined that quality to the nth degree. Reusable Filament Spools: The problem with that is cardboard creates paper dust. It goes on the filament, it goes into your printer. We didn’t even really know that before this interview. We knew that Village Plastics was a pioneer in the industry. There were one of the original ones out there making filament and some experience has to come from that. We didn’t understand always from a real technical standpoint why their filament might be better, more consistent than others. Once Steve explained it, it’s quite obvious why that is. The thing that was going on in our head when he was talking was that, “Here they are. They are at the top of their game in producing filament and they’ve got their systems down for researching new materials and new colors and they got this. The machine of it going and moving and when you get to that top level, you’re not playing this catch up that all those other people are doing with like, “It doesn’t work in this machine. We’re getting lots of returns.”They won’t have to deal with that anymore because they’ve gone way past that. Instead, they looked forward and they said, “What’s the next innovation?”They did the pink can or as Jay Samit said, “The Pennzoil bottle analogy,” the oil bottle. It’s like you move from cans to this incredible plastic bottle and now all of a sudden you fit more on a shelf. That’s where they innovated. They moved to that. Their bandwidth is freed up to not be worrying about the day-to-day quality of their filament because they have it so dialed in and the day-to-day issues of growing their business, because they’ve been doing it so long. It gives them a chance to innovate and something that really matters in a place that’s going to catapult them forward and stay leaders in the industry. It’s going to be really interesting to see over time, even here on our own studio with our own3D printers. We’re looking across the room now and there are probably 30 or 40 spools of filament. It will be interesting to see a year from now, how many of those spools are this Village Plastics slant 3D spool, because honestly, it’s brilliant. It makes so much sense. We can’t believe it’s taken this long for this to happen. I’m seeing you now building a dust tarp over the top of it. There’s got to be a balance or a cordon or some dust tarp is going to go up there and we don’t know how much, but we may have to bribe our daughters to dust it. Ever since Steve mentioned that about the dust, and we actually are disappointed that we hadn’t thought of that, all of our filament is stored on a rack and we thought, “We’re in southern California. We have a really arid environment, it almost never rains. We not worried about humidity. We are really embarrassed to admit that we never thought about the dust. That has been an issue for us on some of the older filaments we’ve had out for a while that we’re using again at times for different colors. When we talk about problems that we’ve experienced with them, we would characterize our filament issues as like, “The filament is brittle.” That’s the way we would describe it. It’s dry and it’s brittle and there are issues there. We may have actually because of the environment gone too far that way and then add to that the dust problem and that we may have gone the opposite direction of having the issues of not having enough actually moisture in our air and having issues from all of those things. It’s eye-opening. We have a few filaments that we keep in plastic bags because that’s how they came and because there are specialty materials and they required it. I hadn’t thought about saving all the desiccants we receive in packages all the time, we should do that. We have saved all those black bags that most of them come in. I have a drawer full of them because I just couldn’t bring myself to throw away or recycle a perfectly good Ziploc bag, but the desiccant, I’ve always thrown away because we know how dangerous that is for kids and we still have a relatively young child and we don’t think she would eat desiccant bag. She’s almost four years old now, but it’s something that we’ve thrown away. Now, we think we will save them and we will be storing even here in Southern California. Either storing the filament in bags with the desiccant, although the humidity is probably not as much of a problem as it is the dust. Ever since Steve said it, we’ve been thinking, “What kind of a covered can I put over those to keep the dust from falling on the filament that I could just lift up easily?” I’m thinking of engineering something and building something customized for my 3D printing space to use for that. We’re going to have an awning. That’s what we were seeing in our head and then we’re sure, what we come up with for our environment isn’t really going to fit for other people because we’ve created this custom space for it. We really encourage all of you to go and get the STL files for the spool, download it, and even if your build plate isn’t big enough to actually be able to print it on your own, even if you do maybe have to go to one of the authorized places to buy one printed for you, you can get one from Slant 3D. Slant 3D is one of the places you’re going to be able to get things, Steve said that. There are other places you’re going to be able to get them from, but we think that honestly this is spool is great lesson in problem solving and in engineering. 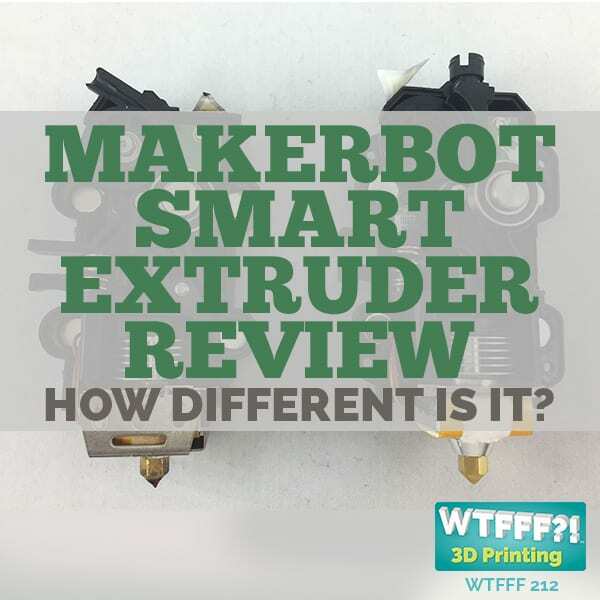 Just the idea, especially for all of you involved in 3D print curriculum and education, here is something you can use as an education tool and it’s useful to you going forward as well as a spool. The idea just from an engineering perspective and a design perspective to create a spool that’s in two parts, that’s one part that you print. It’s not a right and a left side that you print. It’s one part that you print, you print twice and how it goes together, that’s a very good exercise in geometry and engineering and execution. Reusable Filament Spools: You want to make sure that you’ve got top quality filament because it will mess your machine and it will take more time. If you’re in the process of doing that and you’ve got that STL file and you know you’re going to print it with PLA or you know you’re going to print it with nylon or whatever it is that your printer and you’re going to print it with, we highly encourage you to drop into a recycle symbol into the file on your own because one day you will recycle this. One day maybe it gets damaged or one day it will happen that you will recycle it. We’re sure a lot of people are going to print it with ABS because that’s a very strong plastic. I’m going to print it probably with PLA because that’s we have here. We have others too. We are using other materials now, but we probably will print it with PLA. It’s important to know what you did. There are places on this model where you could easily just even without a recycle symbol, just to write PLA or ABS or whatever in block letters and you can make a mesh of that Boolean it out with any program that does Mesh Booleans out of a portion of it, so you’d know what it is. There is a flat area on the spool where we’re assuming you could put a sticker or something if you are storing your used filament and you wanted to like have that information as to what’s on the Spool at that given time. You can do that as well, although we don’t know that you want to put that in your machine if you’ve got a label that might come loose. There’s room on the outside of the spool. There is ample real estate to both print something, or “mold in.”There’s room on the outside of the spool. We’ve got photos of the spool. We mentioned this slightly in the interview, but it didn’t go too deep into it. Our largest build plate was actually not big enough to print a one-kilogram spool unaltered. We didn’t have to take much off of it, but it’s a 200-millimeter diameter flange on the side of the spool and our build plate in the smallest dimension is 195 millimeters. We were five millimeters short and it wouldn’t print it. You don’t want to scale it down because you would scale the hub and the center to be too small for the coil when you install it. We ended up taking off three millimeters off of each side of the flange and made it 194 millimeters, so it was within our build plate volume there. It was able to print it with no problem and really taking off 2.5 millimeters off each side of this thing really didn’t hurt anything of the function of the spool. We were able to print it. Some of you will have it big enough build volume to do it with no problem and others may not, but you can still get it. Even if you buy it, remember you’re just buying it once and we love that. It’s so brilliant. We also want you to know that the specs for printing this, we were surprised, but it makes a whole lot of sense that the recommended print settings for printing this are actually to print it at a 300 micron of soft layer height, which is a very thick layer and it actually makes a lot of sense because it’s going to print quicker that way. That’s considered a very rough print, not a very fine print. Certainly, we almost never print something at 300 microns because the layer lines are very obvious and present, but on a spool, to serve its purpose makes a whole lot of sense and also an 8% infill. The idea being, “You need something functional here.” Aesthetics is not the primary concern. You want to print it quick and have it be very functional. 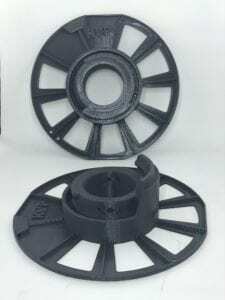 It is designed or engineered for these parts to fit together and perform their job at 300 microns, 8% infill. We just wanted everyone to note that. We hope you enjoyed this episode as much as we did. We thank Steve and Keene Village Plastics for coming on the show. If you have any questions or you want to find out more and definitely want to see those photos go to 3DStartPoint.com and you can also find us on social media @3DStartPoint. You will be able to access the STL files and we also have recorded some video of me using it and installing a coil on it and we’re also actually going to put that out on Facebook as well. You’ll see that especially if you have liked the 3D Start Point Facebook page. You’ll probably be one of the first to see it. Check it all out, find out where you can get it, enjoy using it and we would love to see actually photos of different ways people printed in, different colors you printed in and how your experience is with it. Thanks again for listening. This has been Tracy and Tom on the WTFFF 3D Printing Podcast. 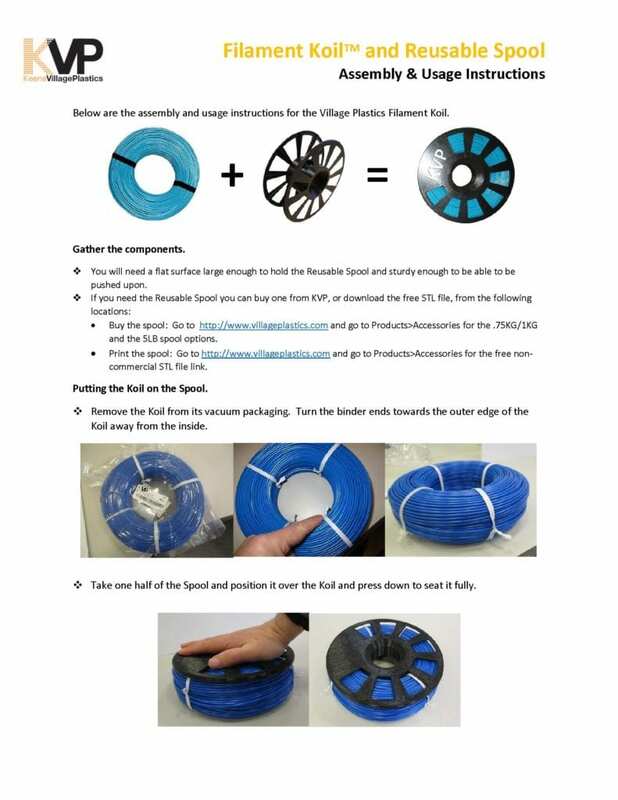 Reusable Filament Spools: Downloadable Instructions for How to Install a Coil onto the Reusable Spool. Steve Gall works for Keene Village Plastics, one of the original filament manufacturers for the 3D Printing industry. They helped set the standards that are in use today. 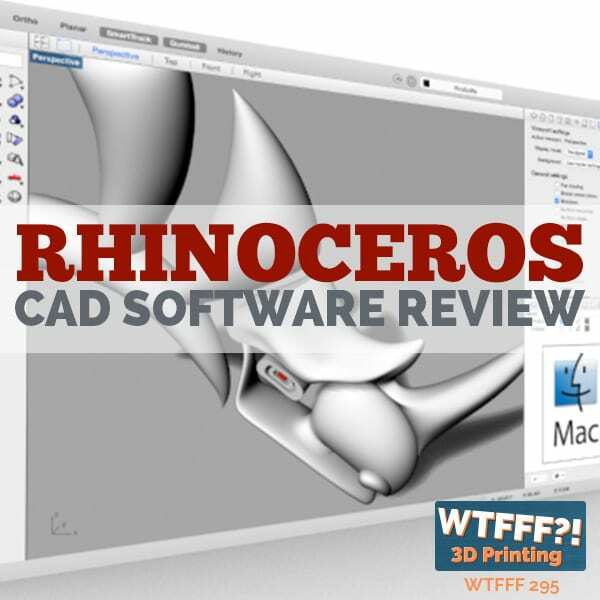 He published and refined the design with the RepRap community in three months. That’s very different from Village Plastics’ 18 month process. There is already a masterspool coil supplier in the EU. The masterspool is a published standard, so I hope it matches the coil from Village. Check out the masterspool design. It has some great features. I kept thinking the same thing through the whole episode. I was certain that they would mention MasterSpool at some point, but it never came up.